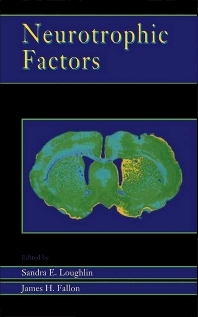 This volume clearly synthesizes current information on defined neurotrophic factors, emphasizing their localization and molecular/cellular function in the central nervous system. Brain development and aging, neurodegenerative disorders, plasticity, and memory all are closely examined within the context of this rapidly expanding field. Researchers in neurobiology, cell biology, and molecular biology will find Neurotrophic Factors an invaluable reference for their research libraries. Functional Implications of the Anatomical Localization of Neurotrophic Factors. Neurotrophic Factors: What Are They and What Are They Doing? Synergy, Retrograde Transport and Cell Death. Primary Response Gene Expression in the Nervous System in Neurotrophic Factors. Nerve Growth Factor and Related Substances: Structure and Mechanism of Action. The Regulation of Nerve Growth Factor Expression. Nerve Growth Factor Actions in the PNS and CNS. Brain-Derived Neurotrophic Factor, An NGF-Related Neurotrophin. Biochemistry and Molecular Biology of Fibroblast Growth Factors. Fibroblast Growth Factors: Their Roles in the Central and Peripheral Nervous System. Epidermal Growth Factor: Structure, Expression, And Functions in the Central Nervous System. Transforming Growth Factors Alpha and Beta. Insulin-Like Growth Factors in the Brain. Neurobiology of Insulin and Insulin-Like Growth Factors. The Ciliary Neuronotrophic Factor. Skeletal Muscle Derived Neurotrophic Factors and Motoneuron Development. Neurotransmitters as Neurotrophic Factors. Adhesion Factors. Growth Factors for Myelinating Glial Cells in the Central and Peripheral Nervous Systems. Chapter References. Index.